A clip-on orchestral tuner to get you in tune faster. 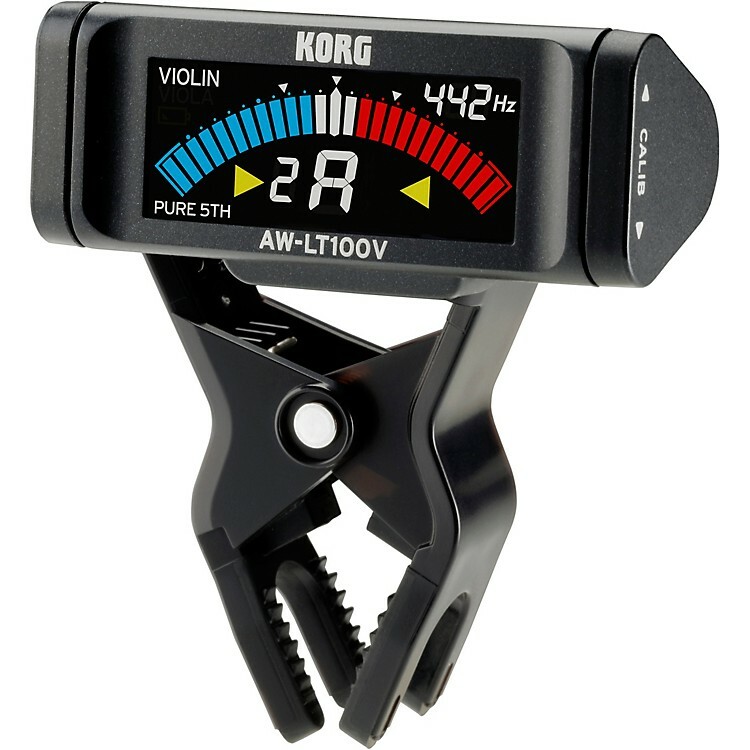 KORG's AW-LT100 line of clip-on tuners offer high-precision tuning, a vivid, full-color display, and an incredible 100 hours of battery life. The AW-LT100V is equipped with a dedicated clip that attaches firmly to the peg box of a violin or viola. The body's lightweight design features triangular shuttle switches that allow intuitive operation. The tuning meter is directly in your field of vision, and the tuner can be left attached without obstructing your performance in any way. In addition to the conventional chromatic mode, this tuner provides a violin mode and viola mode that let you tune with perfect fifths. In each mode, the string number is displayed beside the note name, ensuring a reliable and intuitive tuning experience.